The cold weather outside calls for a few things, berry lipstick, knee high boots and scarves! I love wearing scarves under my coats or sometimes on their own with a warm jumper. My favourite one recently has been the Ancient Warrior Silk Scarf from CharmChuri*. 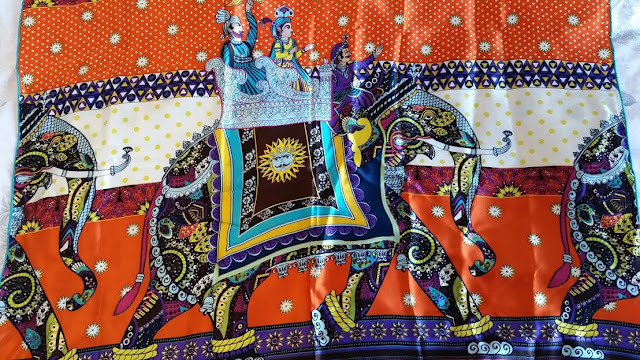 CharmChuri are a company based in London that supply premium silk scarves like this gorgeous one. They have around 10 years of experience in the silk trade industry, so kind of know what they are talking about. The Ancient Warrior scarf as it has been named feels luxurious and is like a soft blanket around your neck, keeping your neck warm and your style levels up. I have ever so slightly fallen in love with the design on this scarf, its a large elephant in the middle with the use of orange, purple and yellow running through it - a odd combination but beautiful. 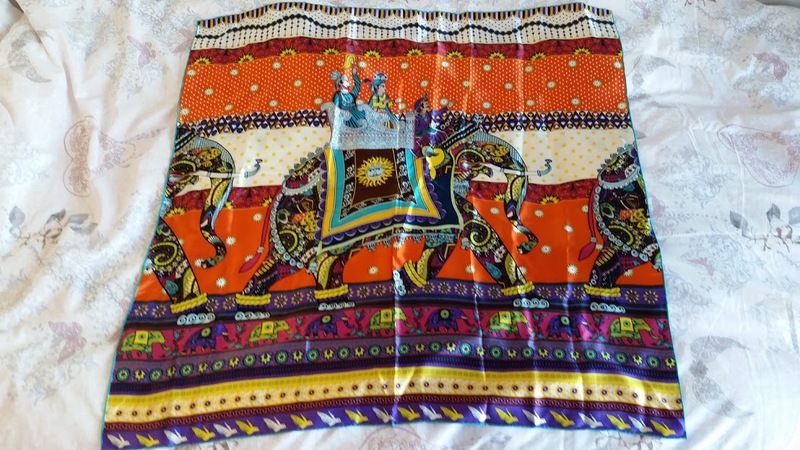 The scarves design reminds me of India and been on holiday! Everyone styles accessories differently but for me I like to just throw them on with whatever I am wearing in a bid that it will look nice. But as the silk one has a gorgeous pattern and print on it you can't let it go to waste so I have been experimenting different ways to wear it, the first and third are pretty similar but both my favourite ways to wear it. You can see all the bright colours and the pattern just peeks through. 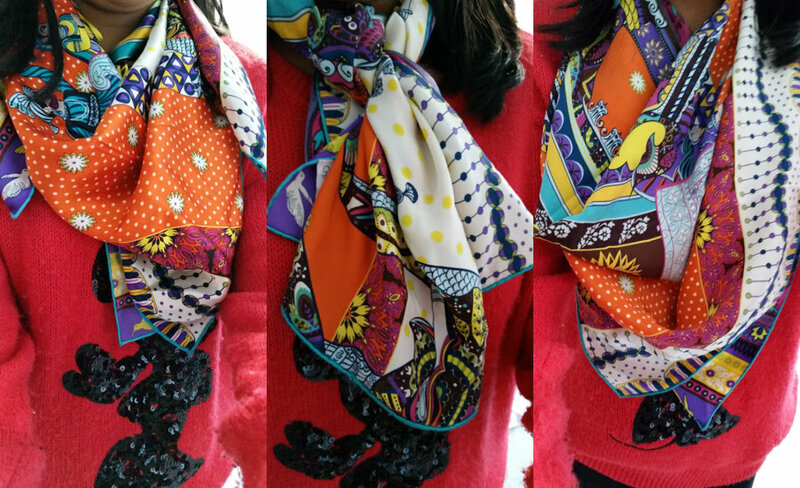 The scarf is so precious I store it in the box that it came in to avoid it getting any creases or stains!